We believe in language and cultural immersion; that’s why at Parlando italiano we give you the opportunity to learn Italian in Italy, in our schools located in Rome, Bologna, Rimini, Siena and Sorrento. If you want to learn Italian in Italy, our courses have the best prices and the most experienced and qualified native Italian teachers, who will help you with anything you might need to make sure you are making good progress and that you’ve acquired the desired level after your stay in Italy. You’ll attend small classes of 8-10 students thereby ensuring you receive personal attention, giving you enough time to speak in every session, so that all your doubts and questions will be answered. We will also help you find the best accommodation. We offer a variety of options depending on your needs – hotel, b&b, private apartments and also shared apartments with local residents with whom you will be able to practice Italian. Immersion in the target culture is guaranteed with our Italian courses in Italy, and you’ll be in contact with new people, from Italy and elsewhere, practicing Italian all day long. The best way to meet native Italian speakers is to take part in their everyday life; to do the things they do, go and hang out with friends and explore the city or just have a drink in any bar. You’ll make lifelong friends, with whom you’ll hopefully practice Italian even after your course. Besides all this, learning Italian in Italy will also give you the possibility to experience the Italian way of life, its typical cuisine, customs, traditions and so on. The best way to learn a foreign language is to dive right in! You may eat an authentic Italian pizza, or learn how to cook pasta al dente, you may also have the opportunity to go to any of the summer festivals in the city, or visit some of the touristy attractions and museums that are everywhere in Italy. 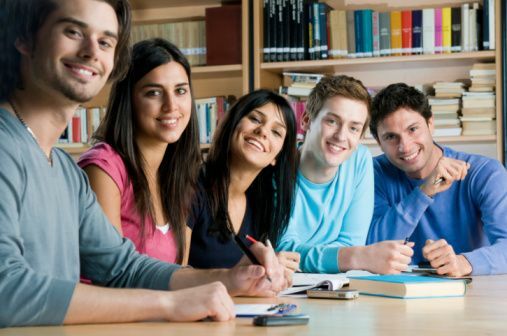 However, no matter what you do, your main goal must be speaking with Italian people to ensure language acquisition; you’ll learn new vocabulary, idioms (which you know are hard to learn) and grammatical structures as well as the phonetic aspects and intonation of the language, which aren’t easy to replicate in the class. To finish with, learning in context will also make you feel more confident about your language abilities, and will help you be more fluent in real life situations. Therefore, if you’re thinking of going abroad to learn Italian in Italy, contact us and we will be very happy to give you more information about our Italian courses.